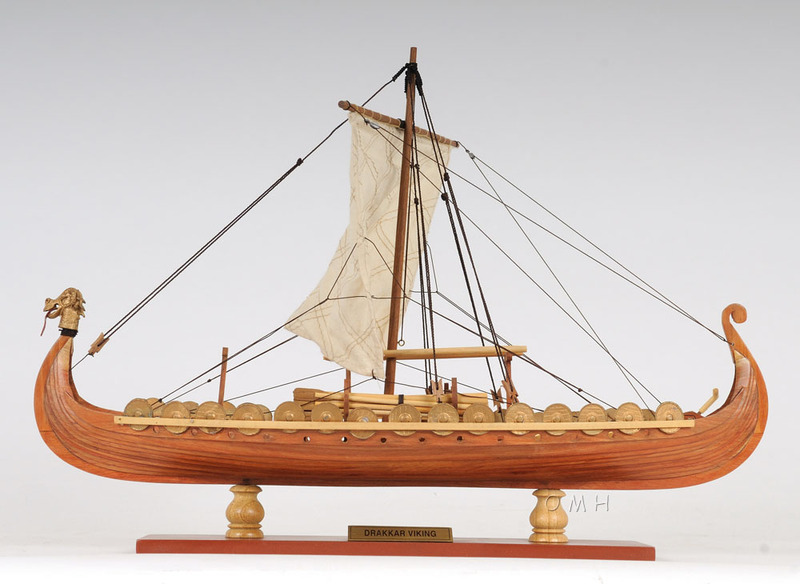 Product Dimensions (L x W x H): 15" x 9" x 12.5"
The Drakkar, or Viking Longships, were the long, narrow and very flexible vessels used by the Vikings for trade, exploration, and warfare. 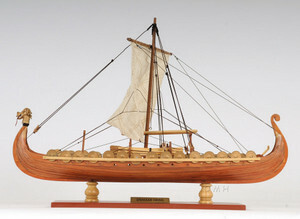 The Longships had symmetrical ends and a maximal speed of around 15 knots, and they were also called"dragonships" because they often had a dragon-shaped bow or other magical beings carved on it. The Longships had been the symbol of the Vikings' naval power for a long time, ranging in the North and Baltic Sea and even far from their Scandinavian homelands: to Iceland, Greenland, Northern America and the Mediterranean!